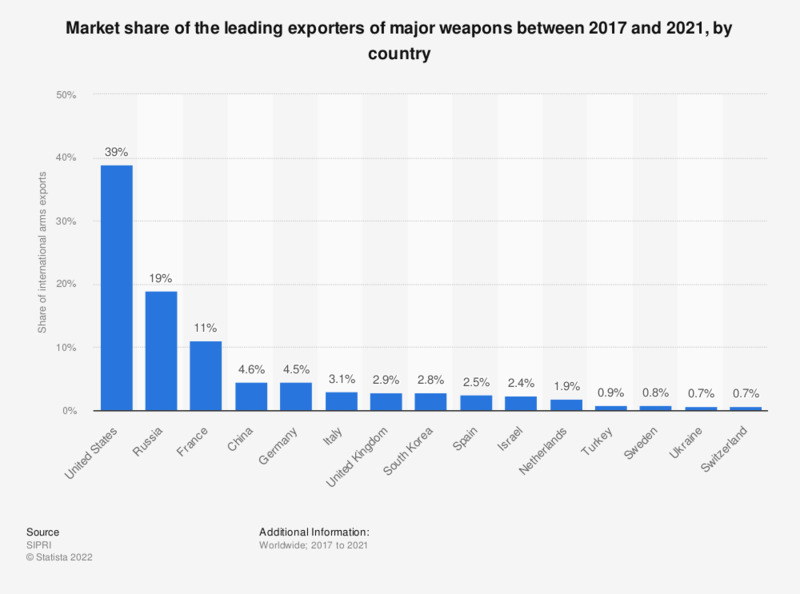 This statistic shows the market share of the largest suppliers of major weapons between 2014 and 2018. The United States had a market share of 36 percent in international arms exports between 2014 and 2016. Shown are only those countries with a market share above 1 percent. Therefore figures will not sum to 100 percent.